Looking for new challenges and opportunities, want to join a fast-paced and exciting team? We have many opportunities both within the County team and in roles across Oxfordshire that we need to fill. Have a look and see if you can be tempted by taking on a new role. Lead Volunteer roles available in Thames Ridge District. After an excellent term as District Commissioner, Martin Richards has decided to step down from the role in mid-2019. Grateful thanks are extended to Martin for the terrific job he has done as DC and for the steps forward the District has taken under his leadership. As a result, we are looking to appoint a new District Commissioner (DC). Alongside that appointment, we are also looking to identify some Deputy District Commissioners (DDCs) to work with the new DC and other members of the District team. The District Commissioner is responsible for Scouting in Thames Ridge (Abingdon, Didcot and the surrounding villages) and will be supported by a strong team of Deputies who will focus on three different roles. All the roles will ensure that great Scouting happens for the young people of the District and may involve enabling change where necessary. Deputy District Commissioner – Programme: this role will focus on ensuring a balanced programme is being delivered to all young people in our sections, support leader knowledge and promote District and County events to ensure as many Leaders can support our young people to gain the top Scouting awards. Deputy District Commissioner – Adult Support – this role will manage a team of lead volunteers in the Scout Groups (Group Scout Leaders) and act as their first point of contact for the District. Encouraging, motivating and leading a team of diverse Groups to ensure that the Executive Committees and Leaders are effective, well trained and supported. Deputy District Commissioner – Activities and Events – this role will enable District events to continue developing for Beavers, Cubs, Scouts, Explorers and Network and will look after a team of volunteers who will deliver a range of District events, camps and activity days for all young people in Scouting in the area. If you’re interested in any of the roles above, or would like more information, then please email dcsearch@oxonscouting.org.uk or download the application pack here. We’re holding an open evening on Tuesday 2nd April at 7.30pm in the Boundary House pub, Oxford Road, Abingdon OX14 2AA. You’re invited to come and share your ideas about how you’d like to see the District develop and have an informal chat about the different District roles available. One County; over 9,000 members; 5 sections; one camp! Oxfordshire is in need of a dynamic, passionate and dedicated volunteer to lead our next all-sections County Camp – OxonJam 2021. This is a unique opportunity to take the lead on the biggest of Oxfordshire’s many events, and provide a fantastic weekend of camping for our thousands of young people and adult volunteers. You will have the chance to build a team and shape this event together, whilst benefitting from the support and experience of a number of existing volunteers. In 2017, OxonJam welcomed 3,500 young people from Beavers to Network to the grounds of Blenheim Palace, for a 3-day weekend jam-packed with activities and adventure. From amateur radio to simulators, climbing towers to roller rinks, and discos that lasted well into the night, there was something for everyone to enjoy. The camp also lead the way in the County’s youth-shaped strategy; the camp lead was assisted by an under-25 Deputy, as well as many of the core organising team being young people. The event also pioneered the ‘Adult Hub’, giving adult volunteers the chance to attend training sessions, validate their learning, and share best practice, all within a short walk of their campsite. By 2021 we want OxonJam to be bigger, better and more exciting than ever before; there is scope for you to utilise your imagination and make your ideas a reality, and shape this event into something you can be truly proud of. You will work alongside volunteers who are passionate about providing new opportunities for young people, and support leaders in offering a programme of activities that would not usually be possible in week to week meetings. No prior experience is required – you will be supported every step of the way, and we will work with you to fit this exciting and ambitious role alongside your existing commitments in a flexible way. If you have the vision and passion to take on this challenge, or know someone else who does, then please complete an application/nomination form. Download the Assistant County Commissioner – Events – OxonJam 2021 role description and application pack here. Aqua Camp is an established event for the Scout section, which is currently held in June each year at Linch Hill Leisure Park near Standlake. It’s a highly popular event, and despite having space for 325 Scouts, is over-subscribed every year. The event offers the chance for Scouts to participate in a range of water activities – kayaking, sailing, dragon boating, canoeing, rafting, gig pulling, and more. Scouts attend with their Troop under the supervision of their section leaders, however there is an extensive team of committed volunteers who come along each year to run the activities on the lake. 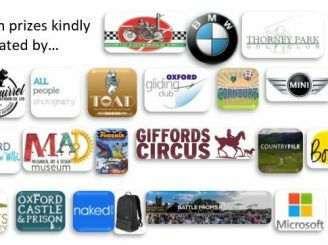 As the manager of this event, you will work to deliver one of Oxfordshire’s longest running and best-loved events, and help make it bigger and better than ever before. You will join an existing team of motivated and experienced individuals, including a Deputy Event Manager (Water Activities) to help deliver a camp which is great fun for all involved. Download the the information and application pack here. As a Scout County, Oxfordshire runs a very successful programme of events for all sections. These events exist to provide additional opportunities for young people that they might not get access to in their week to week meetings and support the core Scouting programme. From Sing-along Santa and Laser Tag, all the way to huge camps of over 1,000 participants, our Beaver and Cub events have a long history of success. We are on the hunt for new individuals with the enthusiasm and motivation to help us continue to deliver a year-round schedule of events, and join our ever-expanding event management teams for both Beavers and Cubs. Whether you are passionate about adventurous activities, love a spot of admin, or harbour an ambition to run your very own event, we want to hear from you! There are roles to suit every interest, skill set or time commitment, with plenty of support to help you thrive. Being on the organising team for an event is an opportunity like no other. It’s an amazing chance to work as part of a dedicated team of volunteers, work flexibly around your existing commitments, and to watch young people take on new challenges and achieve things they never thought possible. If events sound like your cup of tea, then register your interest today and one of the team will be in touch for a no-obligation, no-pressure chat. You won’t regret it! Download the Beaver Event Information and Application pack here. Download the Cub Event Information and Application Pack here.